John Parslow graduated with a BSc (Hons) in Mathematics from University of Queensland in 1974, and obtained his PhD in marine ecosystem modelling from University of British Columbia, Canada, in 1981. After completing a postdoc in phytoplankton ecophysiology, he joined the CSIRO Division of Fisheries in 1987 to work on ocean colour remote sensing. As Acting Section Head for Biological Oceanography in the Division of Fisheries, he led the development of the Australian Joint Global Ocean Flux Study program in the early 1990s. He has been principally involved in coastal research since that time, and has led the Coastal Modelling Team in CSIRO Marine and Atmospheric Research since 2000. 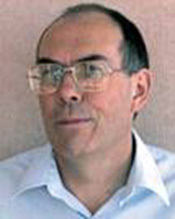 He led the Integrated Coasts and Oceans Management Theme from 2005 to 2007.
the development of Bayesian techniques for data assimilation and error analysis in coastal models. GOOS Panel for Integrated Coastal Observations. John received the CSIRO Chairman’s Medal in 1996 as part of the Port Phillip Bay Environmental Study Team. Parslow J, 2009, Personal communication.